While waiting at the airport, I found a good internet connection. 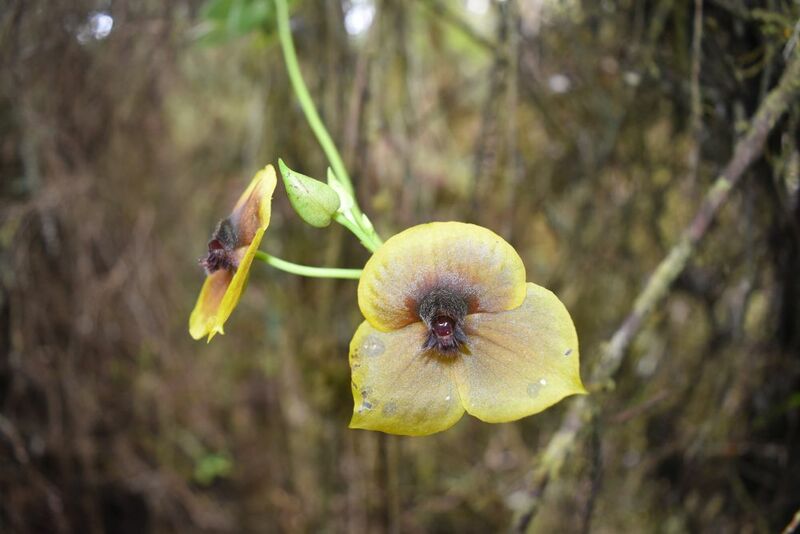 Here are some more impressions that I took with me from Costa Rica, some more Tico specialties. The Costarricenses prepare their coffee using filter machines. Ths is the machine we found in our cottage house in Cahuite, and they are omnipresent. 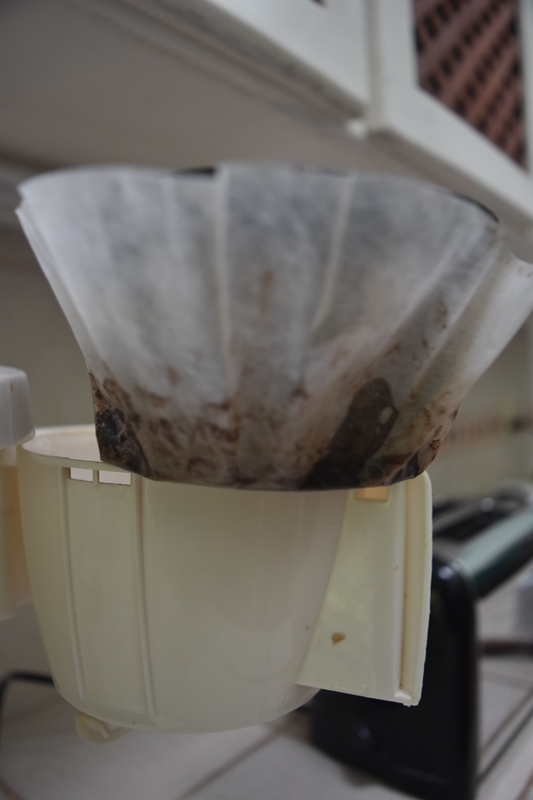 In the filter compartment, there is a filter basked that is to wrapped into filter paper. Here is the filter paper wrapping up the basket. 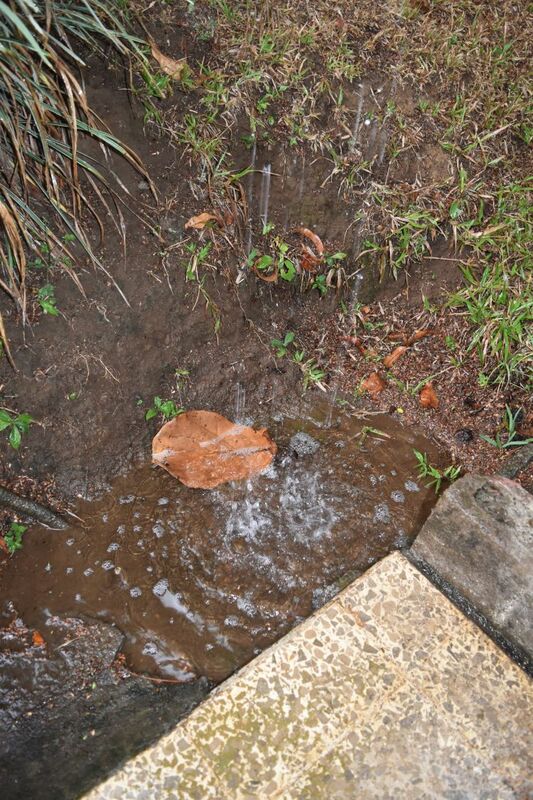 Our homestay family washed the filter paper to reuse it once or twice. 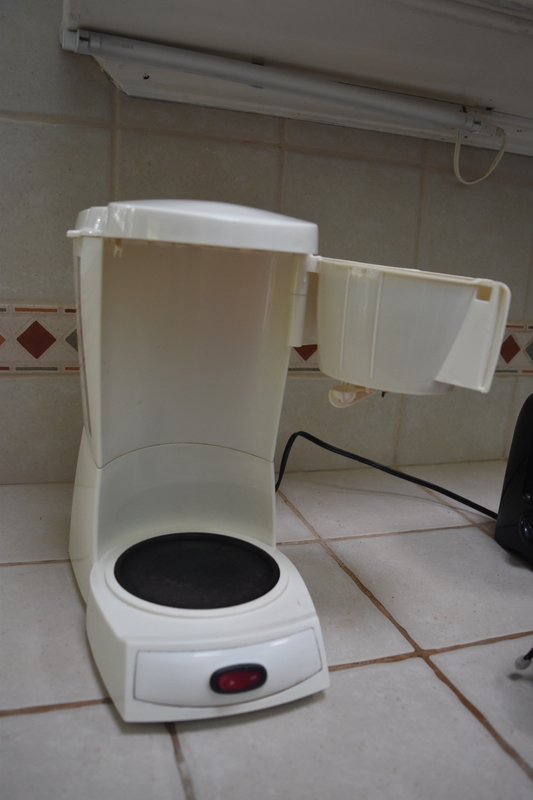 A good idea that we adopted, when preparing our coffee in hotel rooms of Costa Rica. Only once we noticed a Britt espresso engine that looked like a Nespresso machine. I guess for export the Costarricenses have to produce coffee in capsules as well now. 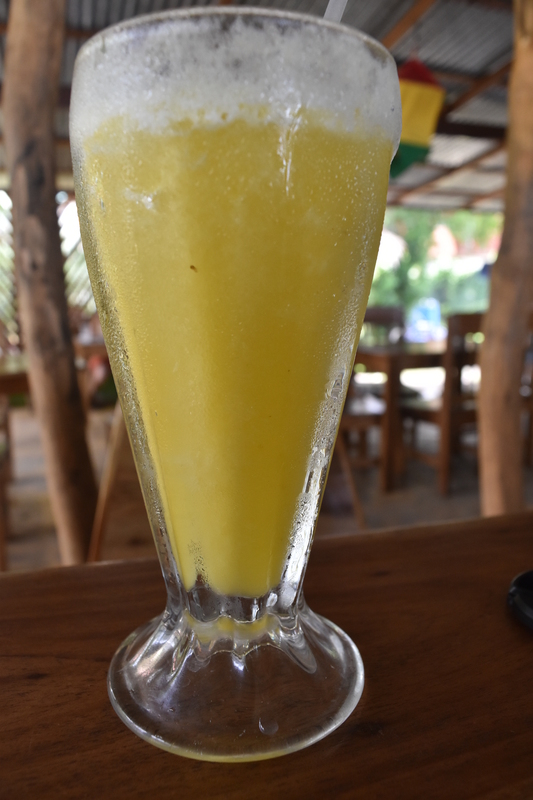 We really loved the fruit juices or refrescoes naturales that we could order everywhere in Costa Rica. Every restaurant and every housewife owns a “licuidora” (which is a mixer) to produce them. Our homestay mum would prepare a fresh juice to accompany our meals. We also ordered them in every restaurant – they are even sometimes included in the almuerzos (or lunch plates) of the day. Fresh ananas, mango, strawberries, blackberries, papaya or the sourish cas, alone or mixed – the licuidora rattles for a moment, and then the healthy and refreshing “refresco natural” is ready. 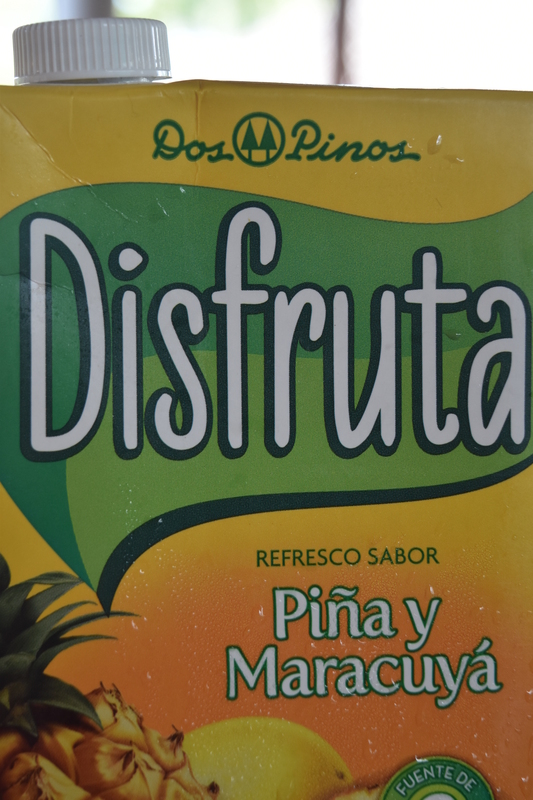 As Costa Rica is a clean country, we never had problems to drink the fresh fruit juices mixed with water. 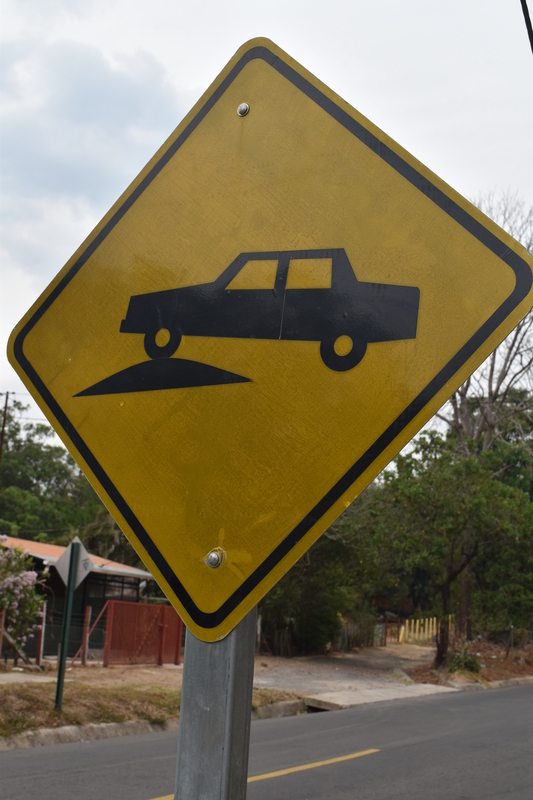 Driving in Costa Rica is an intersting experience. The Costarricenses live up to regulations only, when they make sense. No one stops at an “alto” sign, when there is no traffic. Overtaking in the right hand lane is not allowed, but often, slow cars drive left, and the others overtake them on the right hand lane. And here, the sign says “no estacionar” and see, how many cars are parked here quietly. Big dogs like shepherd dogs are rare in Costa Rica. Most dogs are small or tiny. Also our homestay family had a teckle. 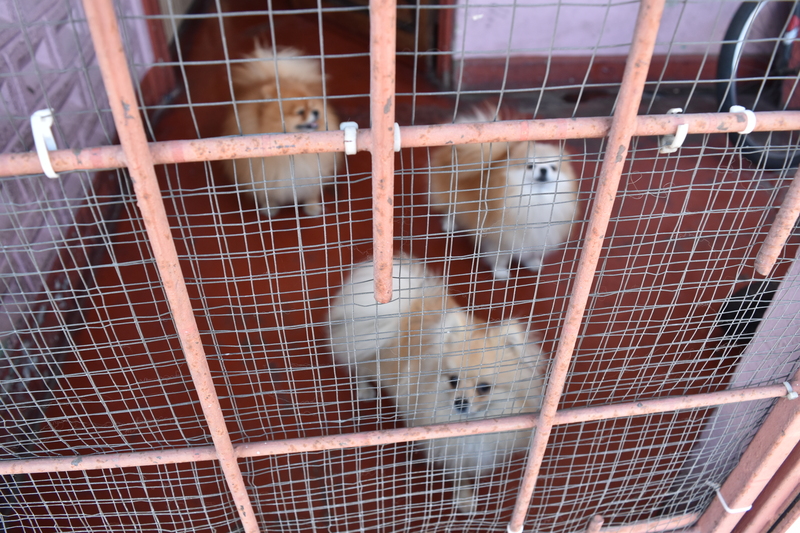 The small dogs are attentive watchdogs, nevertheless, and bark loudly, jumping behind the fences that protect the Tico houses. Here are three small white dogs that bark at me loudly, as I am taking a picture of them. When walking in the streets, the loud barking of small dogs would always accompany us. And the smaller the dog, the louder the barking. 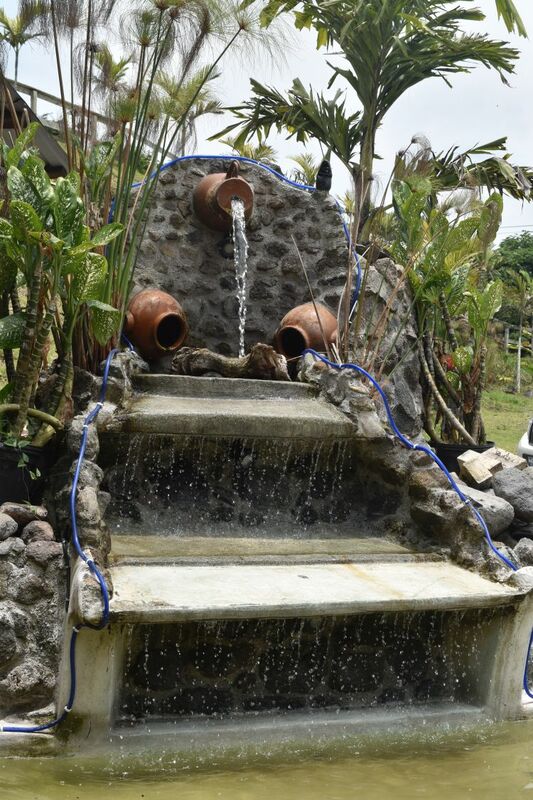 Today we feel like a day of leisure at the Caribbean beach in Cahuita and in the beautiful garden of our Playa Negra guesthouse. In the morning, I go for a snorkelling tour with Willie’s. For 25 Dollars. We leave in a wooden blue boat (like the one on the foto) with a couple from Munich, a couple from Madrid and a mother with two daughters from Paris. 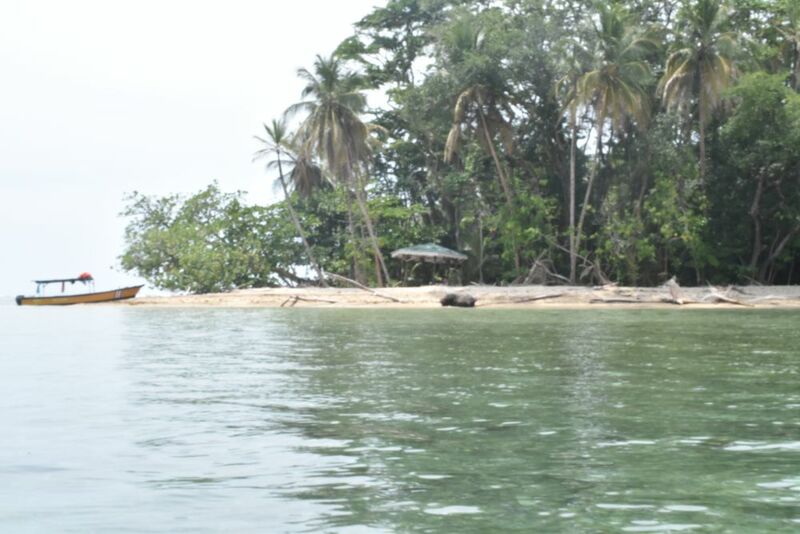 Not far from here, from the Cape of Cahuita, we have two snorkeling excursions. Again I love to watch the world below me: I float above colorful reefs as well as larger and smaller fish, some in shining violet, some in blue, some in grey and some with yellow stripes. 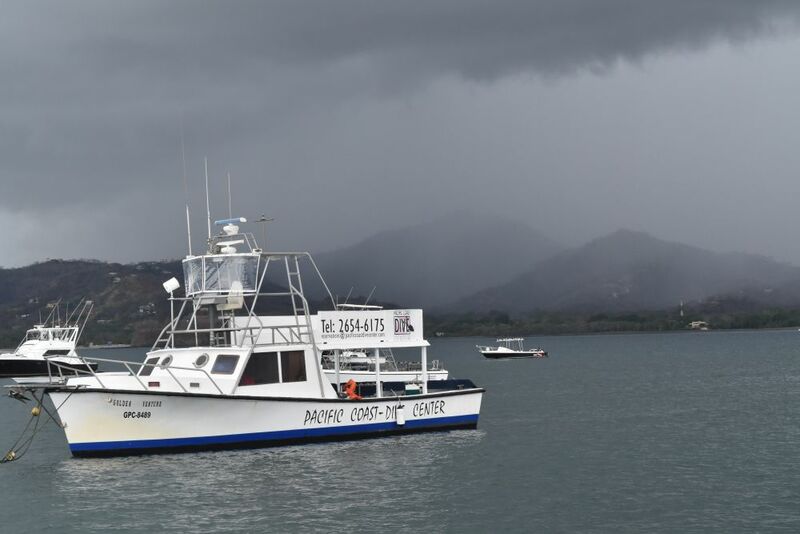 There are also sharks – harmless sharks, as our boat captain says. The chap from Munich has an underwater camera; he comes across a shark. This was great, but there was a small disappointment: To complete the tour nicely and with a social touch, Willie had promised some fruit salad. But we receive no fruit salad. Hmmm, Willie? It is very, very hot here in the Caribbean. In the afternoon we use the pool of our hotel extensively, and as soon as we get out of the water, we are sweating again… the best is to go back into the pool again. We finish the day with Ceviche in the restaurant Sobre Las Olas. Ceviche is slices of meagre fish (corvina) served raw in lemon juice. Excellent. And the breeze above the waves of the Caribbean sea (literally sobre las olas) is welcome. Pura Vida. Well, the cook had oversalted the Ceviche of Ursula, but the waitor immediately brought her a new plate, with a lot of apologies. The Sobre las Olas is a place we like. Howler monkeys somewhere nearby wake us up at five in the morning. 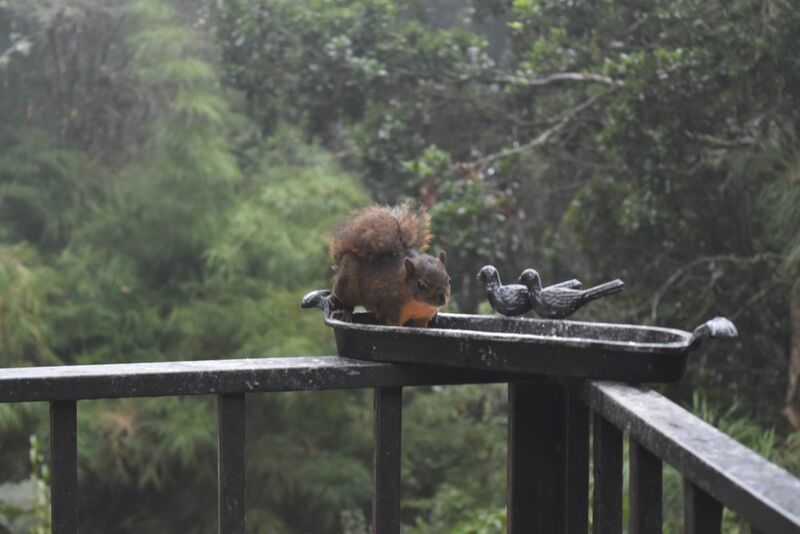 The agoutis say hello and the colibri nip at the heliconia in front of our veranda, where we have our last Caribbean breakfast. 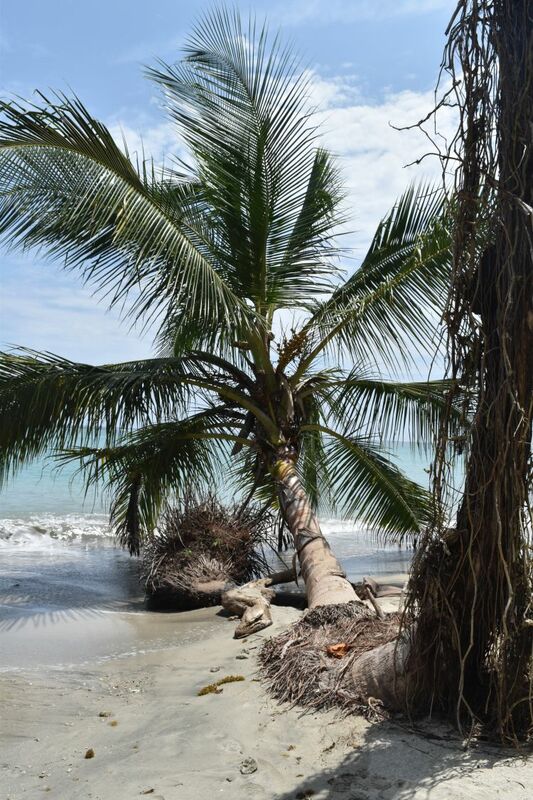 We catch some early morning impressions from the beach across the road with a view of the Cape Cahuita. 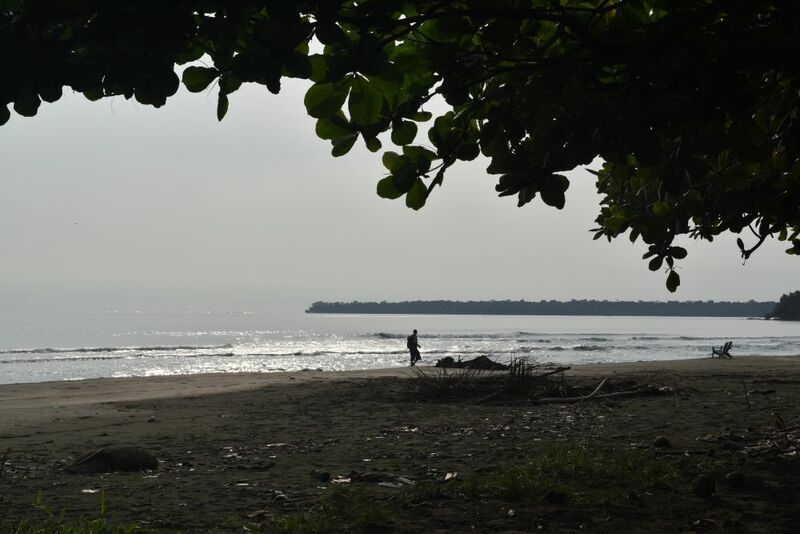 Yes, a beach vacation in Costa Rica is a great option, be it here on the Caribbean side or on the other Pacific side. But be aware – it IS hot here! You will be forced to relax and go back to the water often, in the pool or in the sea. 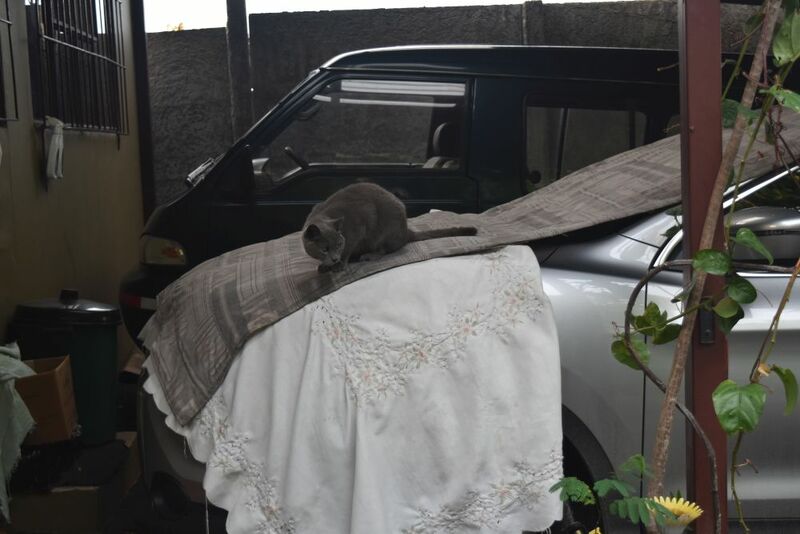 We leave Cahuita around seven in the morning – and get caught in a traffic jam on the road to Limón. “Our” traffic jam going north holds us back about a quarter of an hour, but the standing line of cars going south is several kilometers long and not moving at all. Good that we are going north now. Palm trees give shade in the central park. There are various statues – this is the statue of a family and an old man. 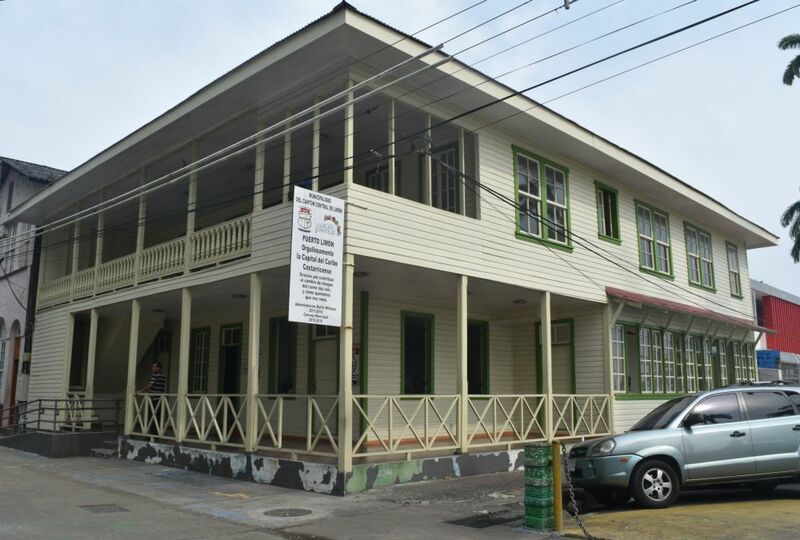 Sad that the traditional Black Star Line building has burnt down just a few days ago. 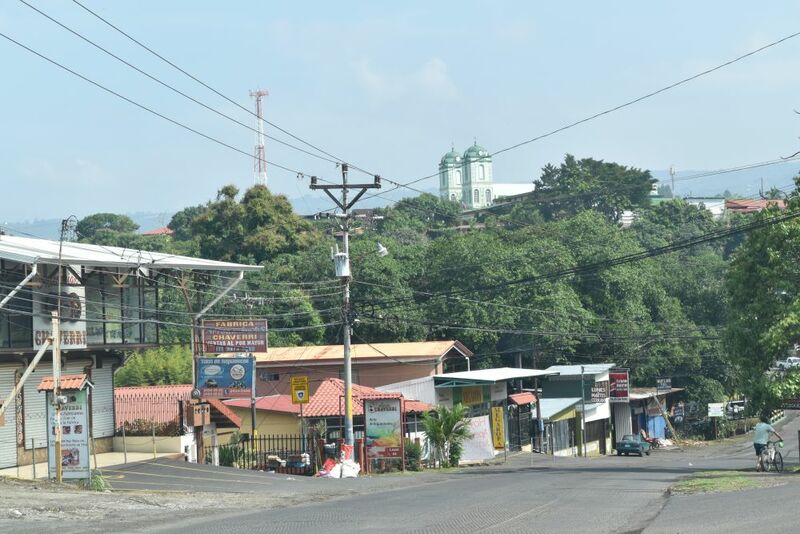 Now we head north on the main road to San José. 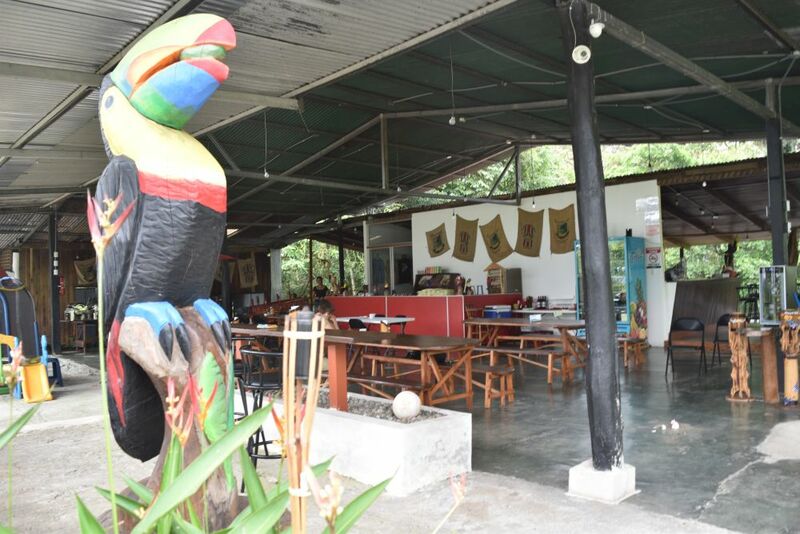 We move forward quickly, with a short coffee break in the restaurant La Costa near Guapiles – yes, this Tucan statue is eating an avocado fruit which also in “real life” is the Tucan’s favorite diet. While driving uphill through the Braulio Carrillo park, we brush up memories of our tours with Jorge, the driver of our Don Quijote school (the boat trip in Sarapiquí, the teleférico in the rain forest). And at midday exactly the guard of the Bougainvillea hotel opens the gate smiling and waving at us. Leticia greets us – she is the good soul that has organized so much for us. It is like coming home. We give our faithful Terios car back to Thrifty. Kenneth finds the gifts from Sarchí under the seat… no, no, I should not forget them once more! I already had to go back to Sarchí a second time to pick them up with my bag labeled “bolsa olvidada”. Thank you, Kenneth. 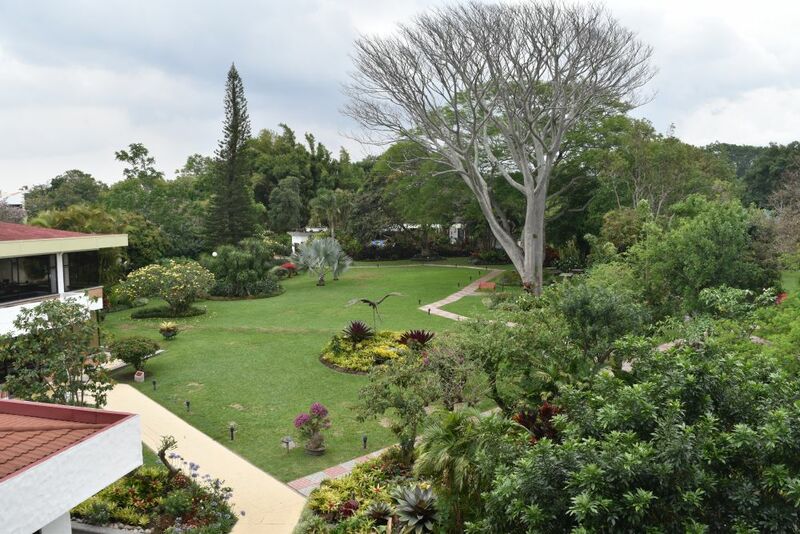 We take room number 302 with the gorgeous view of the tropical garden. We will rest here for another day, meet my cousin and enjoy the pool, before flying back to Switzerland on Sunday. 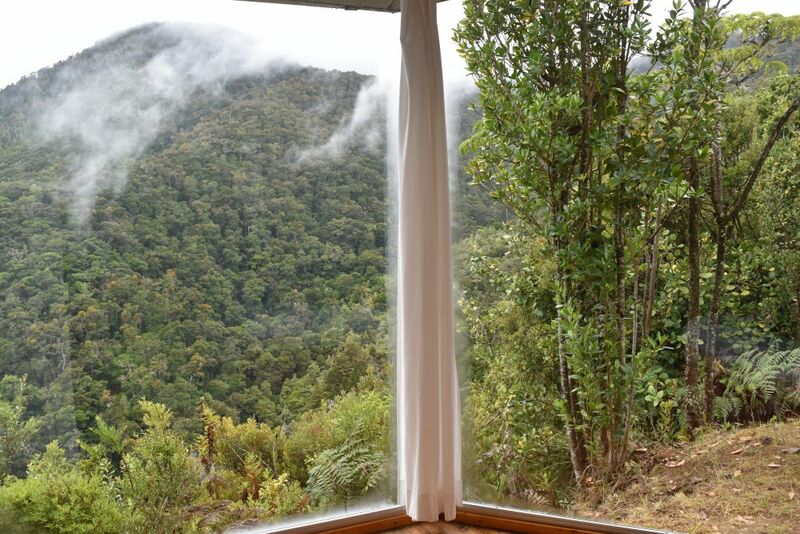 We wake up with this great view of the forested hills partially hidden in the mist. This is the view from our sleeping room. Yes, this place “vaut le détour”, as a Swiss guest had written in the guest book. Around Cartago and through fertile hills to the Caribbean coast line. 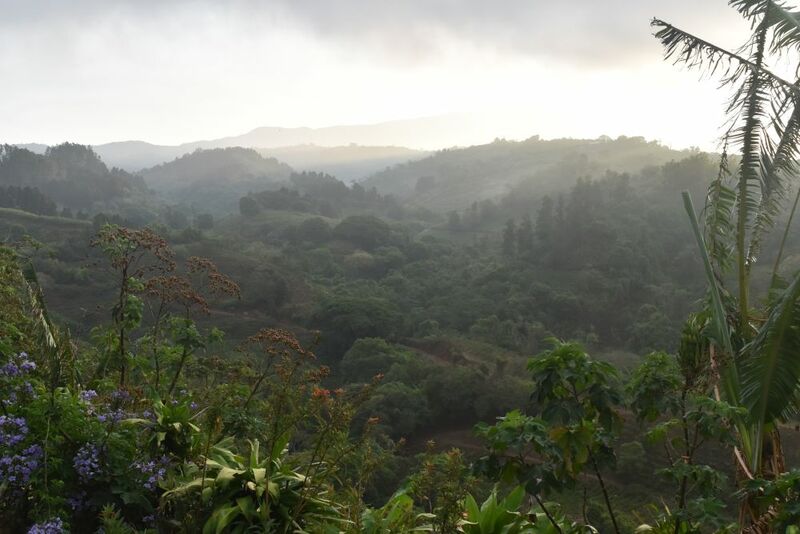 The Interamericana takes us along the ridge of the Talamanca mountains. The weather has cleared up and we can almost see the Pacific Ocean. The route around Cartago is easy today. The GPS guides us through Tejar to Paraiso. 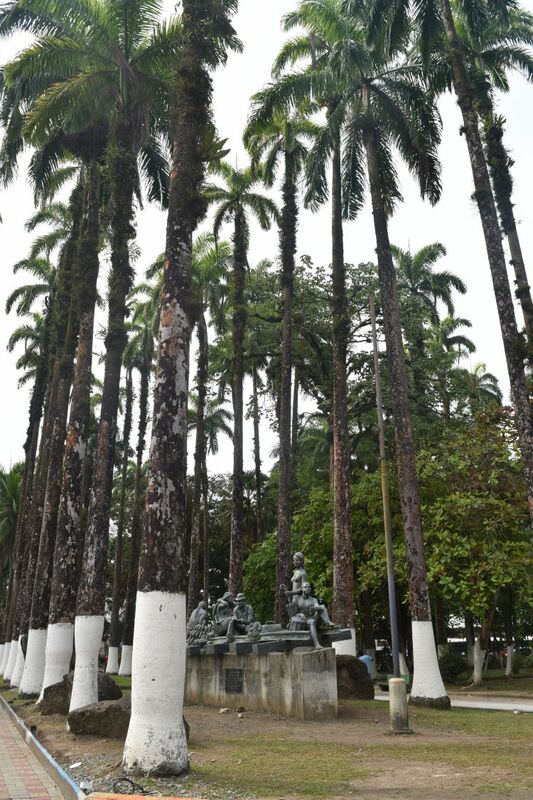 From here we drive up and down and up and down through fertile hills with coffee and sugar cane plantations as well as with large green houses. We have a small rest in Cervantes. A coffee and a tortilla with cream refresh us, while we observe the kitchy fountain with the copy of the black madonna from the Basilica in Cartago on top. It must be romantic at night, when the blue lights are on. It goes up and down and up and down… all in all for about 200km, until we reach the coastal planes of the Caribbean. Banana plantations and palm trees along the road. And many, many lorries on the road. 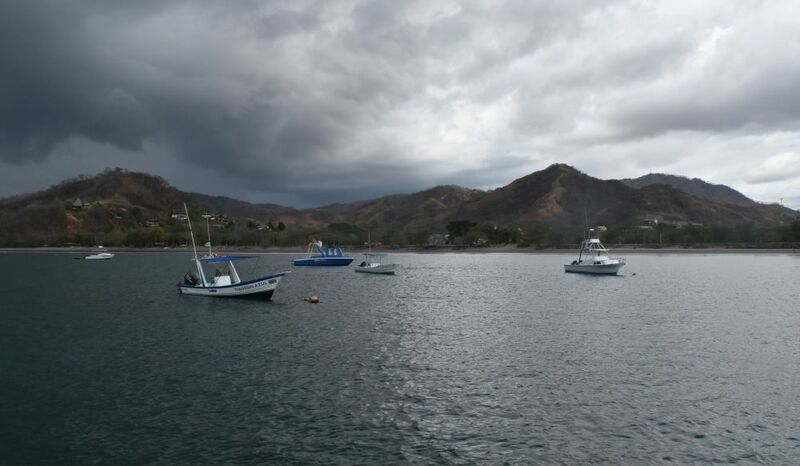 More and more, the closer we come to Moin, the main port of Costa Rica. 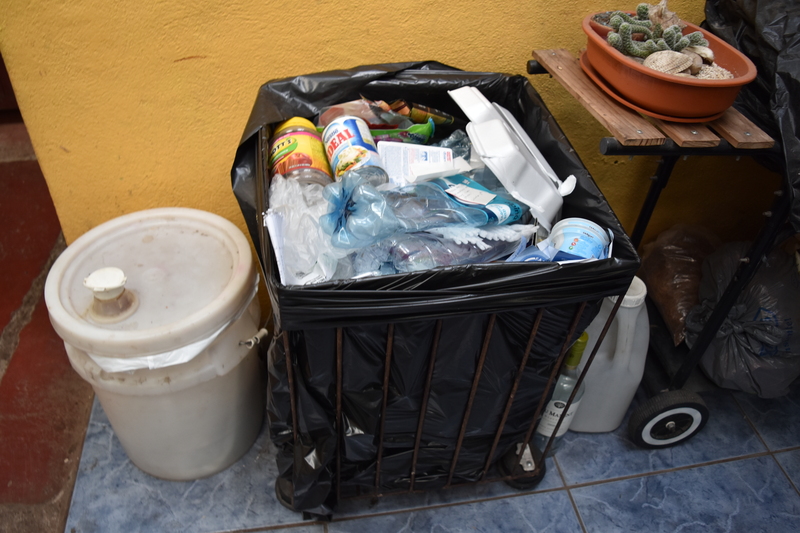 What we see in Moin are piles and piles of containers labeled “Chiquita”‘, “Del Monte” or “Hamburg Süd”. Happy to have overcome this busy port of Moin, we already see our target, Cahuita, in in our minds, but then the GPS goes crazy and directs us around Limón (which we like) and finally to a shaky railway bridge (!) and behind this we are in a dead end street. No, this must be wrong… I do not like this railway bridge, but I have to drive over it again to get back. Ursula switches to navigating with the map. 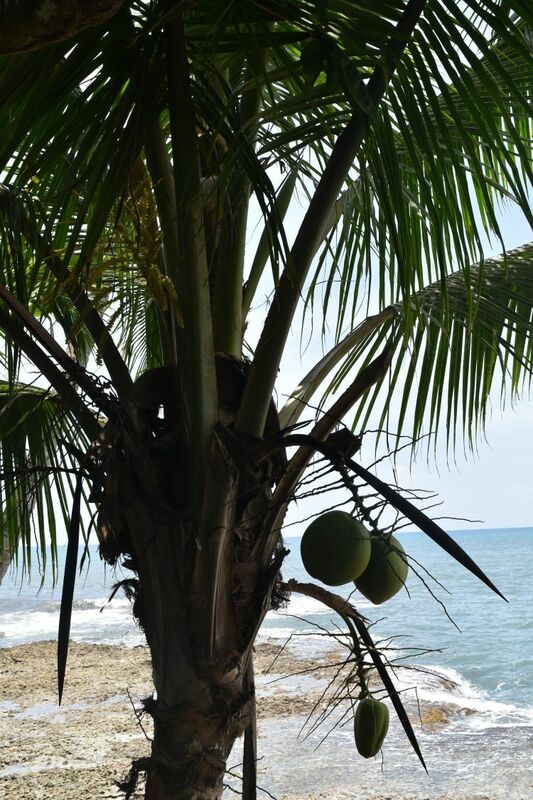 About half an hour later, we ring at the door bell of the guest house Playa Negra in Cahuita and are welcomed in French Québecois. 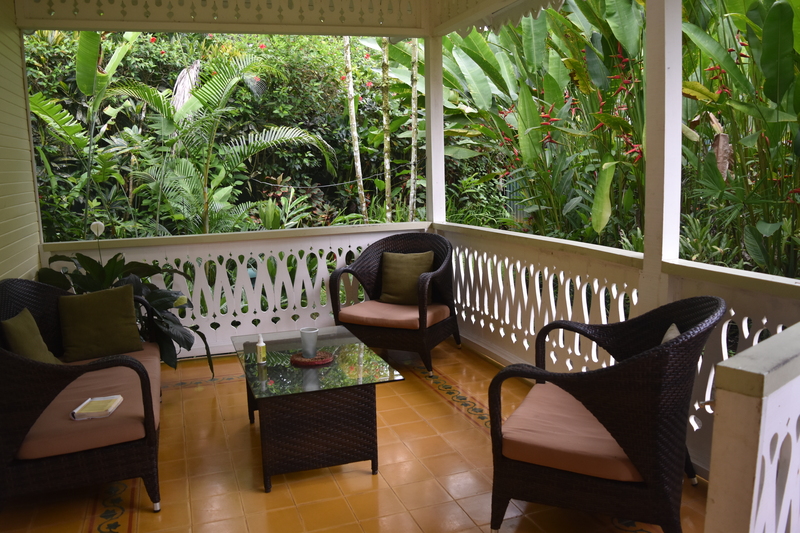 We settle in a cosy and spacy cottage with this veranda looking into a beautiful tropical garden. It is hot and we immediately jump into the pool. With seafood in the nearby Reggae restaurant we end our day, amidst tourists taking a rest here in Cahuita… most of them decorated with tattoos. 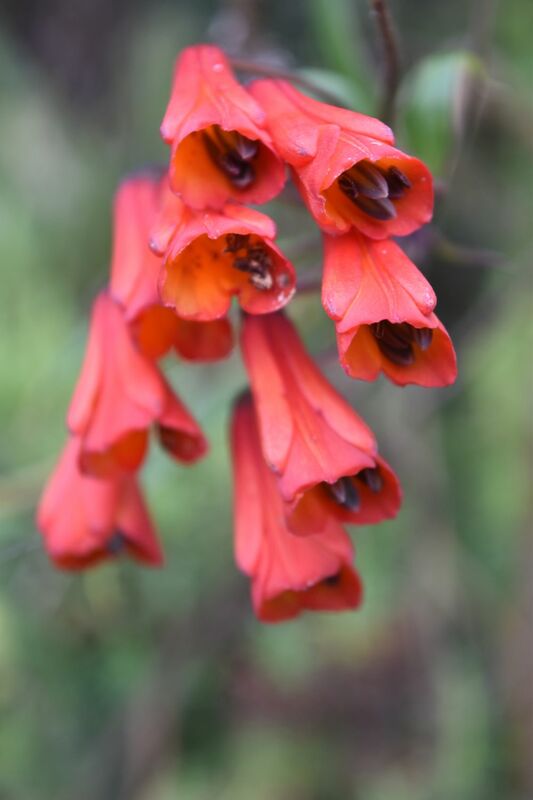 We wake up early and enjoy the beautiful garden, together with some agoutis, with colibris and with a black bird with a red back (must be the Cacicus Uropygialis or in English scarlet-rumped cassique and German Scharlachbürzelkassike – I have never heard of this bird). The red cat of the house also joins us. and gives a view of the beach. 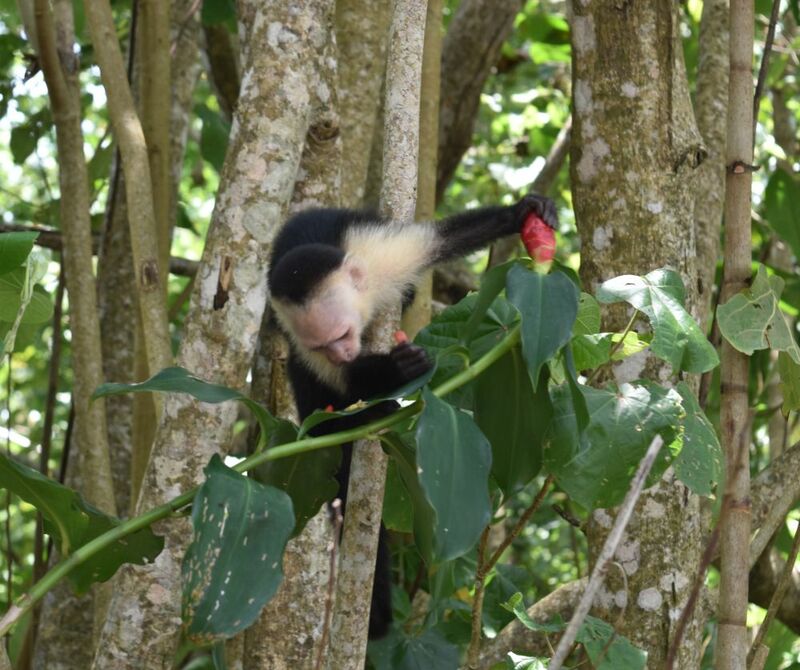 We see an iguana high up in the trees and a herd of white face monkeys joggling in the branches and eating. 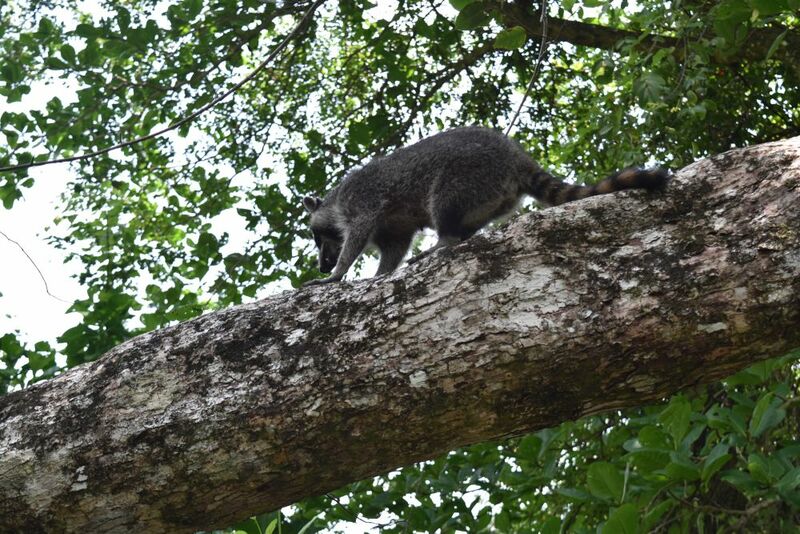 An animal is screaming angrily… it was this rancoon. It still looks angry and I do not go too close. We have lunch in the restaurant “Sobre Olas”, in their shady garden above the waves (olas) hitting a stony beach with palm trees. 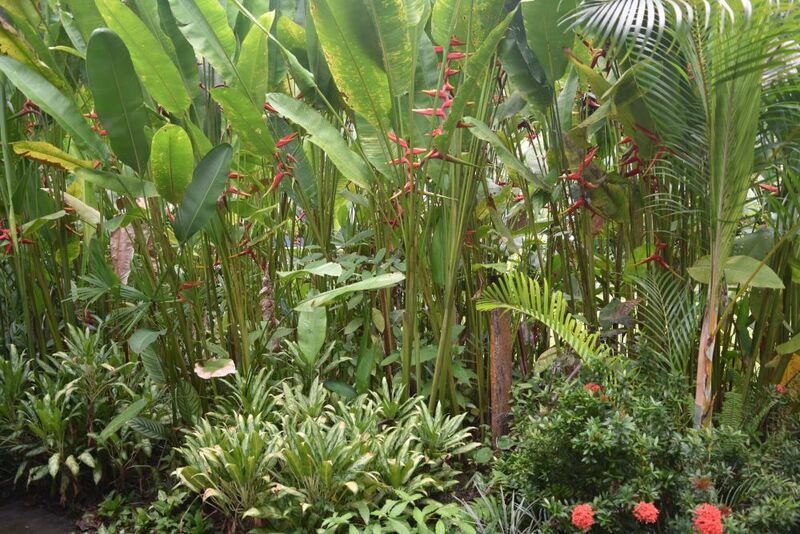 After more swimming and relaxing in “our” garden, we have dinner in Ricki’s restaurant in Cahuita center. The place is full of tourist life. I notice, how many black people are here, totally different from the rest of the country. They came here to work for the construction of the railways and to work in the fields. Only after the Civil War (1948), they received the right to vote and the right to move freely in the country. A long story of suffering. With Carlos, we have booked a long birdwatch tour. 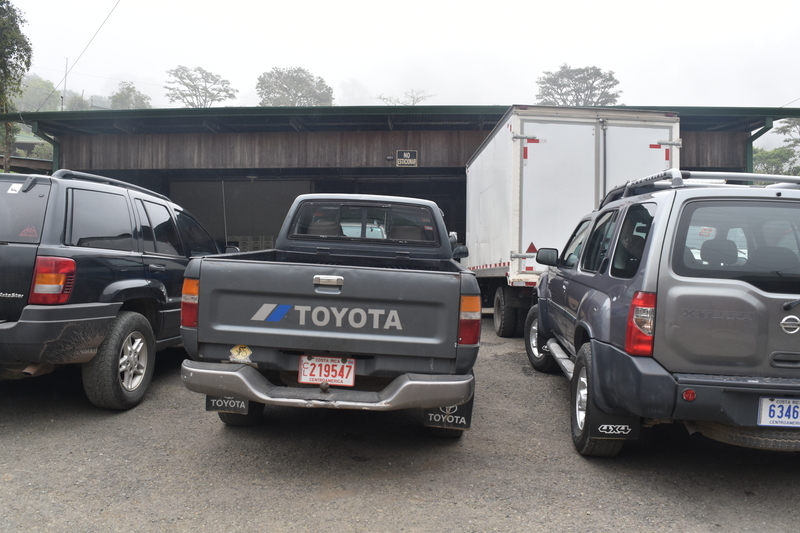 We drive some 400m down to the Savegre Lodge, then up again on a rough road (need 4 wheel drive for the first time) and do the round tour “La Roble” through the cloud forest with oak trees, yew trees, fern trees, some few palm trees and many, many bromelias. We are walking with a couple from Australia that has routine in bird watching and also carries the right camera. 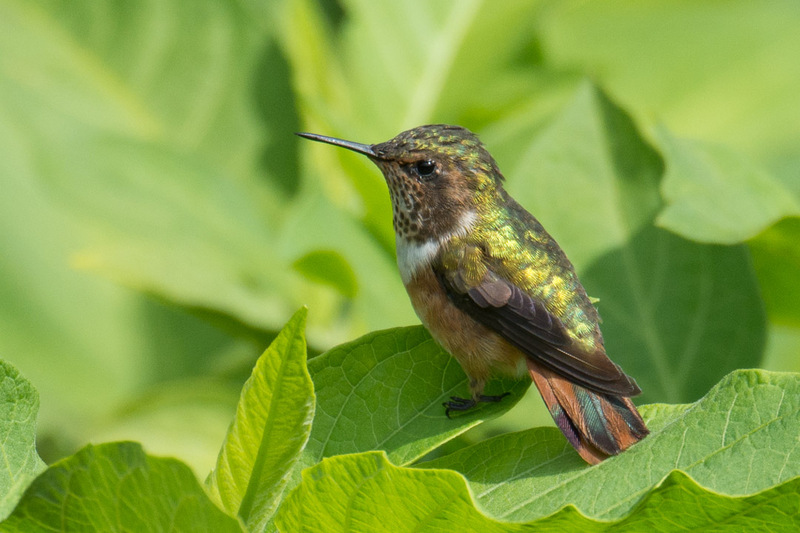 They give me this foto of a scintillant hummingbird – thank you. The song of one bird is omnipresent. Ursula says, this bird sounds like a garden gate that needs oiling. Right, I can hear that as well. Carlos explains that the bird that sings like a sqeaking garden gate is called black faced solitaire (or Solitario Carinegro in Spanish). 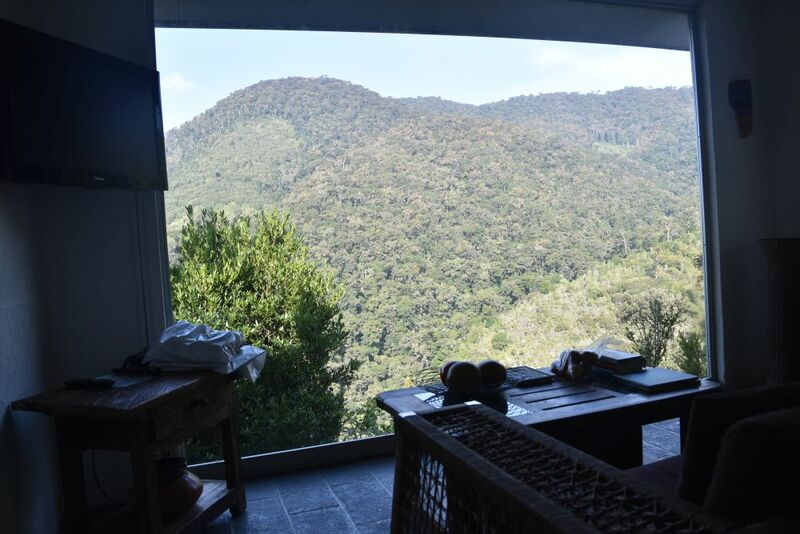 Today we move to a cabin that is closer to the reception/restaurant area of our Dantica lodge and has a view of the valley. This is the morning from the living room. 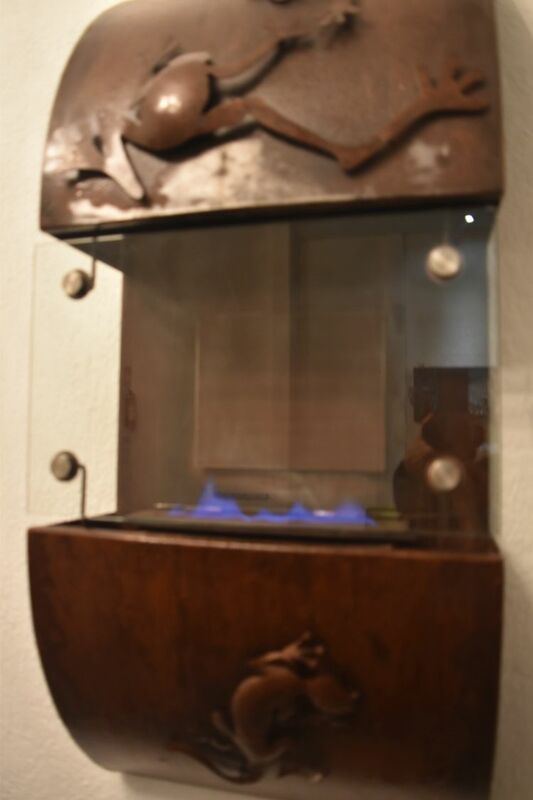 As temperatures are chilly, we have an oven that works with methylated spirit like the fondue rechaud in Switzerland. At half past five, we start the early morning quetzal tour with Carlos. We drive down into the valley and stop on the road between avocado trees. The quetzal loves the small avocado fruit that fits into its beak. 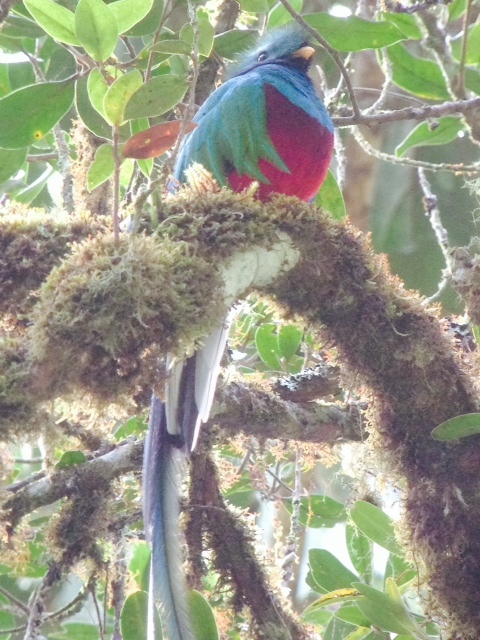 We are lucky and see about five quetzal birds, the male with the long tail and the female with the shorter tail. Sometimes I even see them with the naked eye. On this foto there is the double line of the tail on the second bundle of branches from below… this is how you have to spot the birds. Not easy to see. But Carlos uses his Swarowsky. 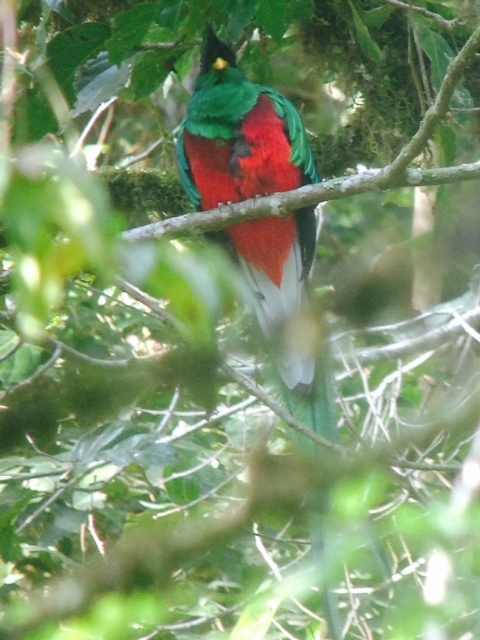 And here it is, a male quetzal. Carlos explains that Quetzals can live up to twenty years and that the Tucancillo steals his eggs. Happy we return around seven to have breakfast, and then start with Carlos for another tour to understand more about the cloud forest. 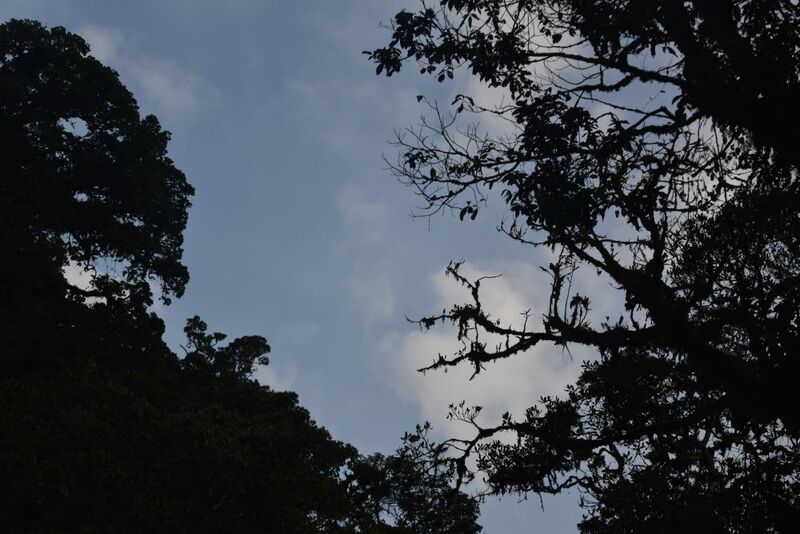 Carlos shows us the type of cloud forest that prevails around the Cerro de la Muerte above 3000m. 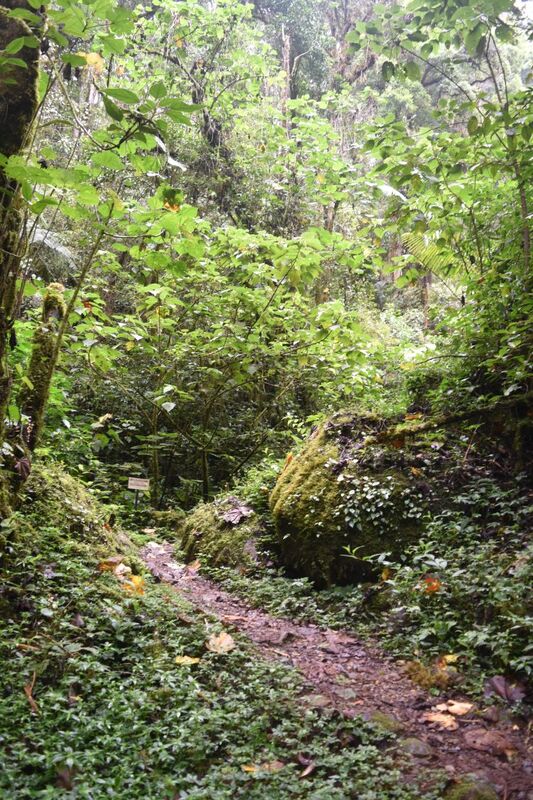 The two types of cloud forests here are called “premontana” or “pre-mountain” (smaller trees and bushes) and “páramo” (more shrubby). Páramo is higher than pre-mountain, but also less humid. On the ridge of the Cerro the Caribbean side is more humid with pre-mountain trees and the Pacific side has the páramo vegetation. They meet on the ridge. We also see some birds: The volcano junco and the black billed nightingale thrush. Here we stand on one of the summits on about 3400m. The clouds are coming from both sides today. The plants take the moisture mostly from the clouds, supported by the moss and lichen that retain the water – ths is a symbiotic relationship. 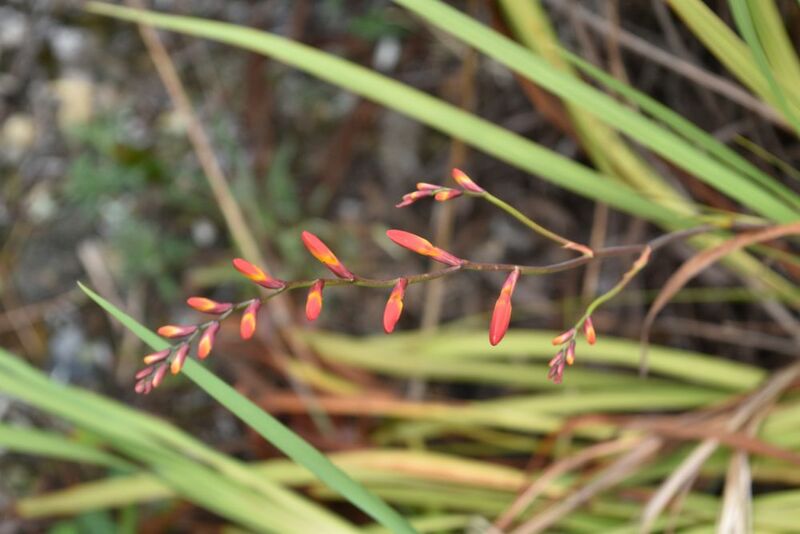 Carlos shows us that most plants have stiff leaves to resist to freezing temperatures and some plants with softer leaves are hairy to protect themselves. On a clear day we could see the Caribbean and the Pacific Ocean from here. Now we just see the clouds and start to dream about fantoms that creep and fly along the hills. The steep San Gerardo valley is also full of waterfalls. Near the Savegre Lodge there is the sign “2km to the cataratas”. 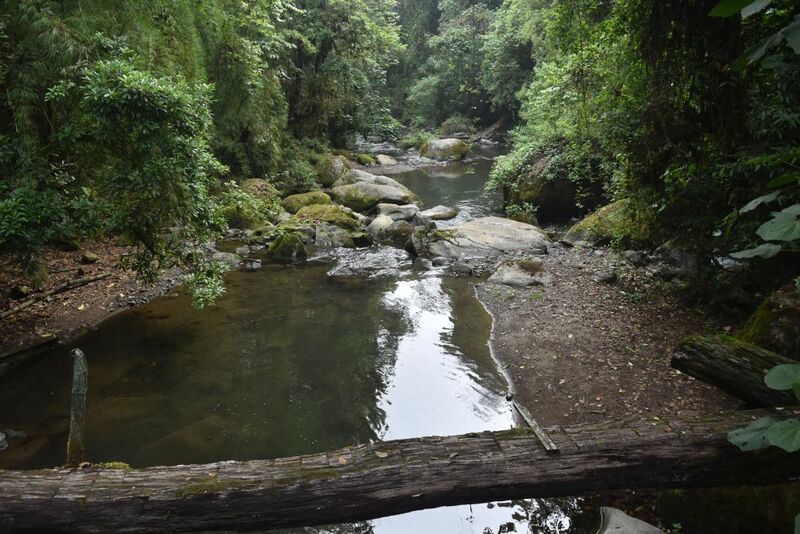 We expect an easy walk on a cloud forest path that starts here, where the Savegre river looks quite harmless. 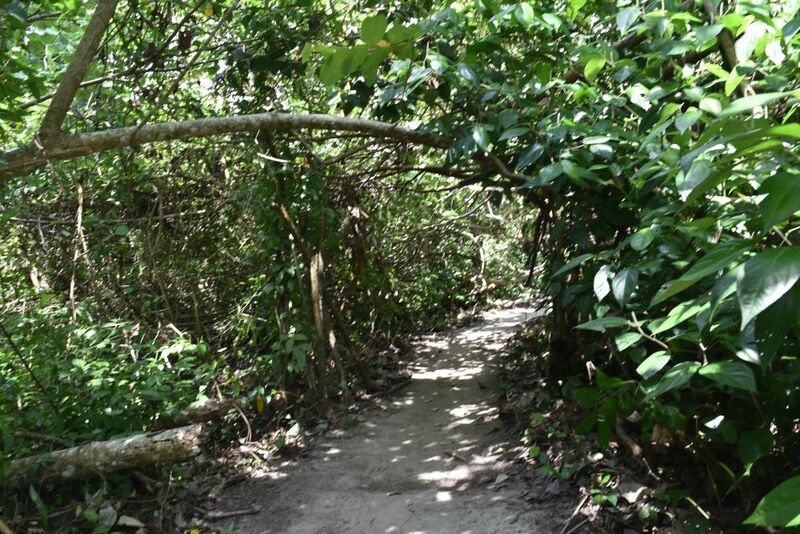 But after one kilometer the path gets rough. 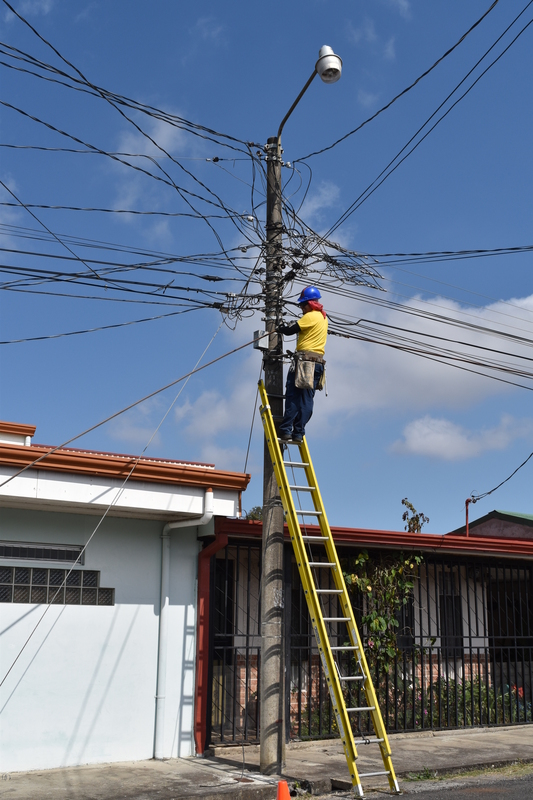 Ropes support us and sometimes also metallic ladders that would need to be repaired. 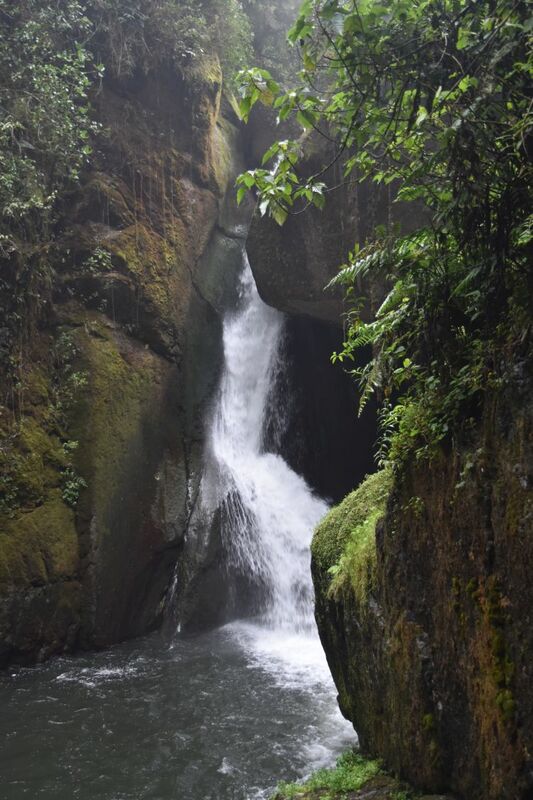 A slippery climb down to the river leads to this waterfall.. 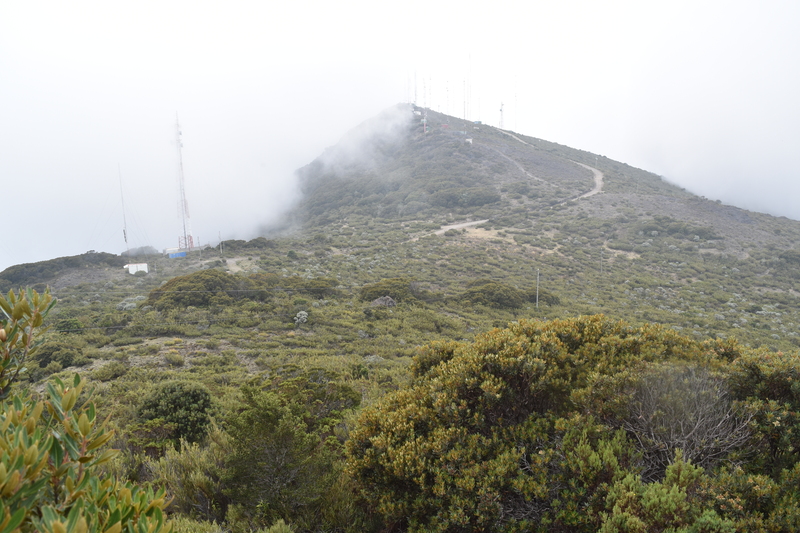 The cloud forest is now covered with clouds and it is drizzling. Our hair become wet. We feel like lichens in the cloud forest. When we arrive at our car, Ursula sighs: “Well, one and a half hours for 4kms… I had expected an easier path”. After a shower we have our last dinner in the Dantica Lodge, fresh trout with vegetables. Tomorrow we will continue to the Caribbean Sea. It is a hot Friday morning, 29th of April 2016, in Playa Grande. Before leaving, we take a dip in the pool. It is so hot that we have to cool down at eight in the morning. The last crabs nibble at my foot. And then we say good-bye to the heat. 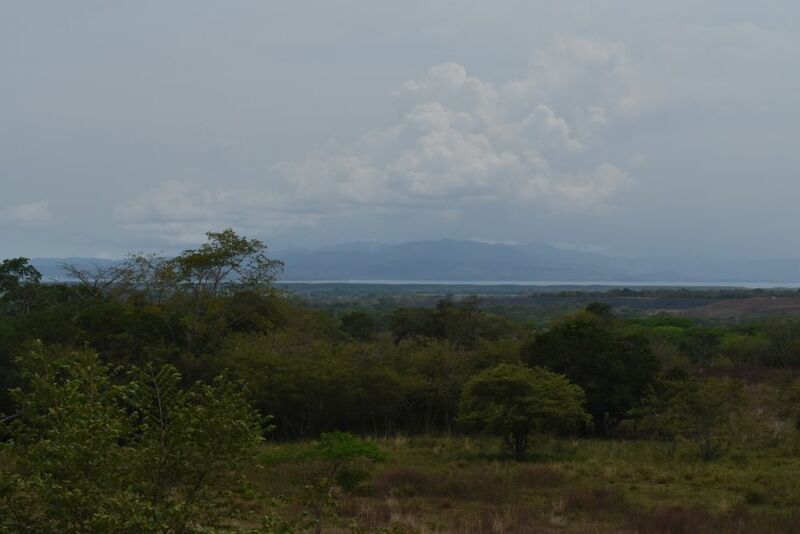 We leave Playa Grande, head back to Liberia, drive south on the Interamericana, have a coffee and a budin on the way (I will have to make those delicious budins out of old bread at home) and have lunch in the “Caballo Blanco” with a view of the Gulf of Nicoya. We drive uphill into the mountains north of the Central Valley, sometimes caught behind slow trucks (or lorries). Around two pm we already drive up the steep street in Sarchí Sur. We enter the souvenir shop behind the large painted wooden wheel. The shopkeeper immediately knows which bag I am asking for. It is the bag labeled “Peters” that contains the presents that I had forgotten here two weeks ago – oh dear! The shopkeeper then asks me: “Do you know Ronaldo Peters?” “Yes, I know him. He is my cousin. I have met him seven years ago”, and I show her the foto in my diary. I buy some children’s books with nice drawings, as I always need material for fairy tales over skype and soon also for my godchild. Ursula feels like an ice cream. The shop across the street sells ice cream made by Dos Piños, by whom else in Costa Rica. We call Rainer, the German owner of the Paraiso Rio Verde, and he meets us at the big char near the church painted all green, almost too much green. In the morning we get up early. Cash, the nineteen year old cat is also waking up. 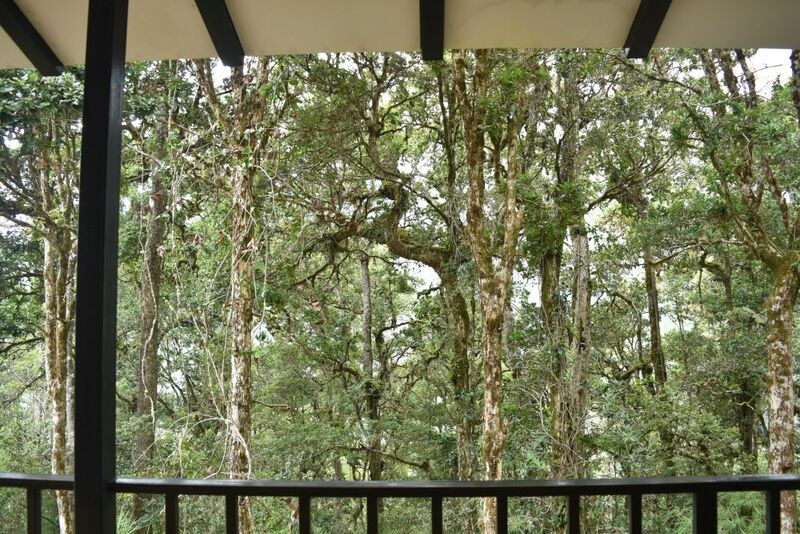 From the garden there is a great view of the coffee plantations, to the volcanoes Poas and Barva, to San José, and an idea of the Irazu, now hidden in the clouds. Early in the morning, shortly after five, we wake up. We watch the sun rise and the birds around us. Over our breakfast with German bread we have a chat with Rainer and his wife. Rainer also has a coffee plantation here in Sarchí, one hectar. He is about to turn his lodge into a place for elderly people that stay longer – a change from the business with tourists. He knows “Los Peters” as well, some ladies of the family had visited him once, he says. We say good-bye to Rainer, to his wife and to the cats Cash and Mieze. 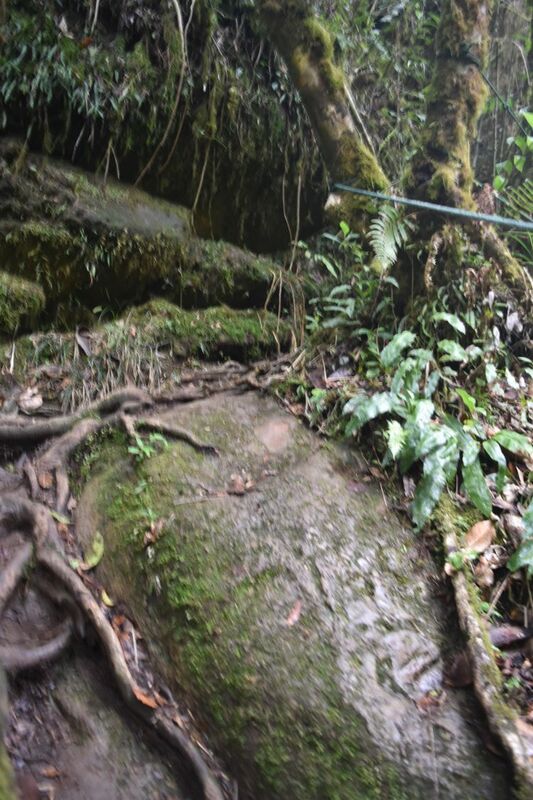 After another four kilometers steeply downhill, we reach the Dantica Lodge or lodge of the small tapir. We move into the suite in the forest, some 150m away from the reception. This is the view from our balcony. It is more chilly here on 2600m and I put on my warm fleece jacket. We take a rest after all these traffic jams. 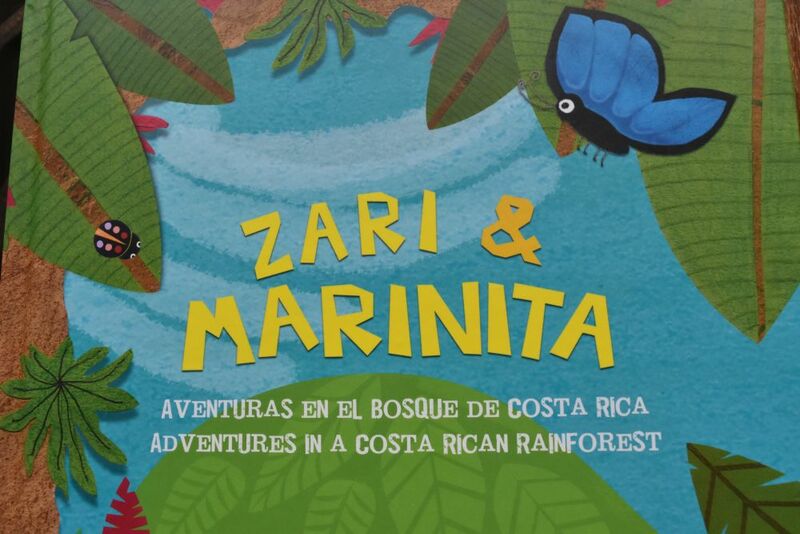 We watch the colibri rushing back and forth around the nectar station of our balcony and the squirrel eat oat flakes. In the evening we eat trout (fresh from the valley) and I have a glass of Sauvignon Blanc with it. 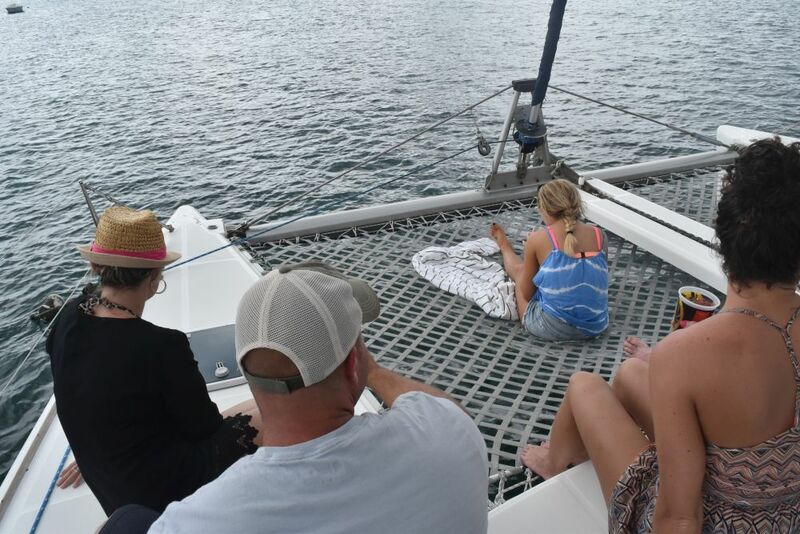 We felt like seeing the beach from the sea and booked an afternoon tour on a catamaran. From one to six p.m. This costs 85 Dollars. Shortly before 1 p.m. we are picked up at the hotel. Our driver heads north along the coast for about half an hour. Then he enters a well secured gate, drives up on a paved road through lush gardens with huge hotels to the left and right. We end up in front of a huge lobby, and a group of six Americans joins us. Some minutes later we reach a port. We have to give away our shoes (the reason the guides says: “We want no sand on the catamaran”). A boat takes us to the catamaran and the Americans immediately take rum punches and settle at the front. A second boat comes with some 15 Americans and Englishmen, they also take rum punches and some prefer wodka on ice. Some of passengers continue to drink all the time… beer, wine, rum punch etc. Not exactly the company we usually look for. But the ride is great. We follow the gorgeous coast line and come across some islands. It is drizzling, but we escape the rain. We stop in a bay. All the guests get snorkels, flippers and swimming aids. I go into the water like always, just with my goggles as the only aid. The guide shouts: “Hey guys, are you ready, we move to the beach now, but do not step onto the stones, they are sharp”. We all swim for almost one hour. I enjoy it very much. For ten years, I have not been swimming in the sea watching fish below me. There are some black fish with a yellow stripe in the middle and many small fish. I can also see some sea urchins – it is really not advisable to put the feet on the ground here. Ursula took this foto from the boat. 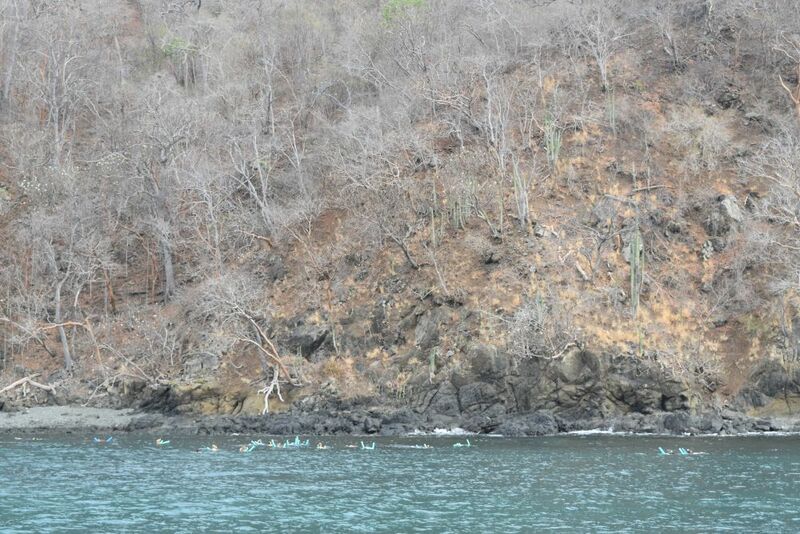 If you enlarge it, you see the group of Americans with their swimming aids sticking out of the water. May be, I have to do such swimming in the sea more often, it is just a wonderful feeling to swim in the salty water, taste the salt at the lips, and float like an airplane to watch the world below. Back on the boat, I now take a rum punch. The staff prepares a snack with sandwiches (the soft American ones), tacoes and fruit. Immediately, when the buffet is ready, the Americans stand in line. I thought, such lines were only typical of the Russians in Sowjet times? 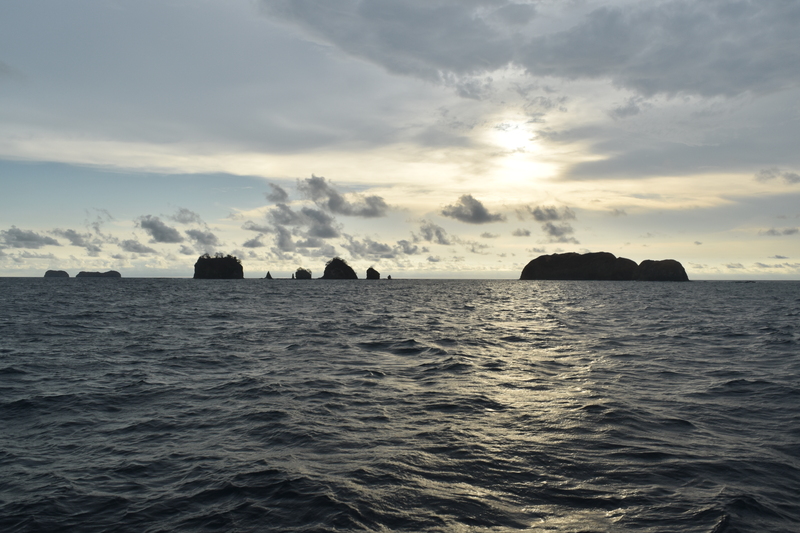 Soon it is about five p.m. and the sun starts to set behind the islands. The staff is hoisting the sails. 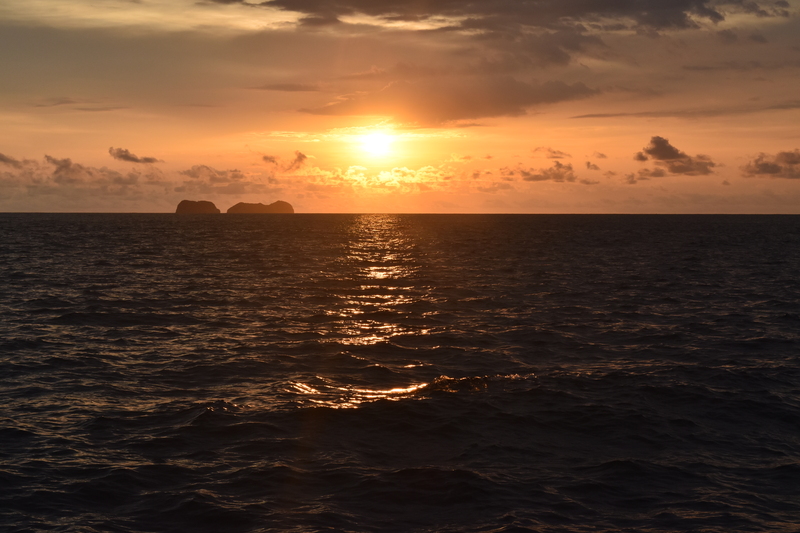 Gently we glide on the water and watch the sunset. Beautiful. The catamaran drops us again in the port and half an hour later we are back in the El Manglar hotel. To finish off the day, Ursula and I share a fish a la plancha in the Bula Bula. Ernesto, the waitor, is happy to see us again and the cook waves from the kitchen. Ursula has a wahoo fish and I eat red snapper. “Hasta luego”, Ernesto says. “Well, puede ser hasta siete años”, I clarify, because I was at the Bula Bula seven years ago and may come back in some seven years again. I liked the Bula Bula, because it cooks fish just grilled (no fancy sauces or bread crusts around it). Good night.